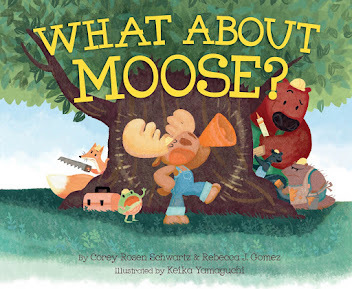 In WHAT ABOUT MOOSE?, facial expressions are big part of the illustrations' part of the story. In the case of Moose himself, as he tromps about giving orders, his facial expressions range from smile to scowl and everything in between. Point to an image of Moose (or another character) that shows a clear emotion. 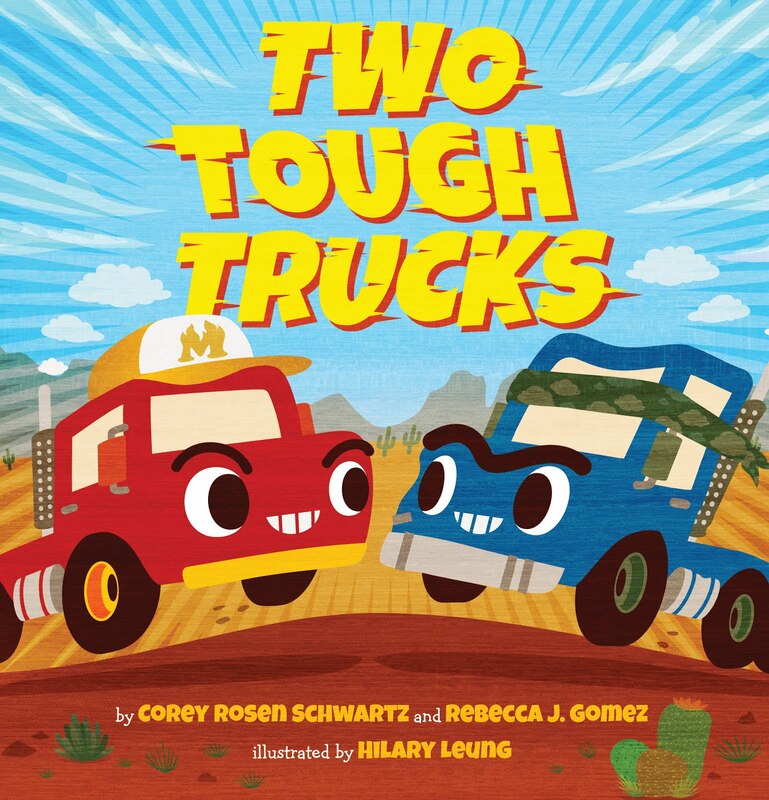 Talk with kids about how that character is feeling, and why. Make faces! Ask your kiddos to show various emotions on their faces. Make a game of it by changing your expression and having them guess which emotion you're conveying. Have children tell about a time when they've made a sad or angry face. Draw faces! 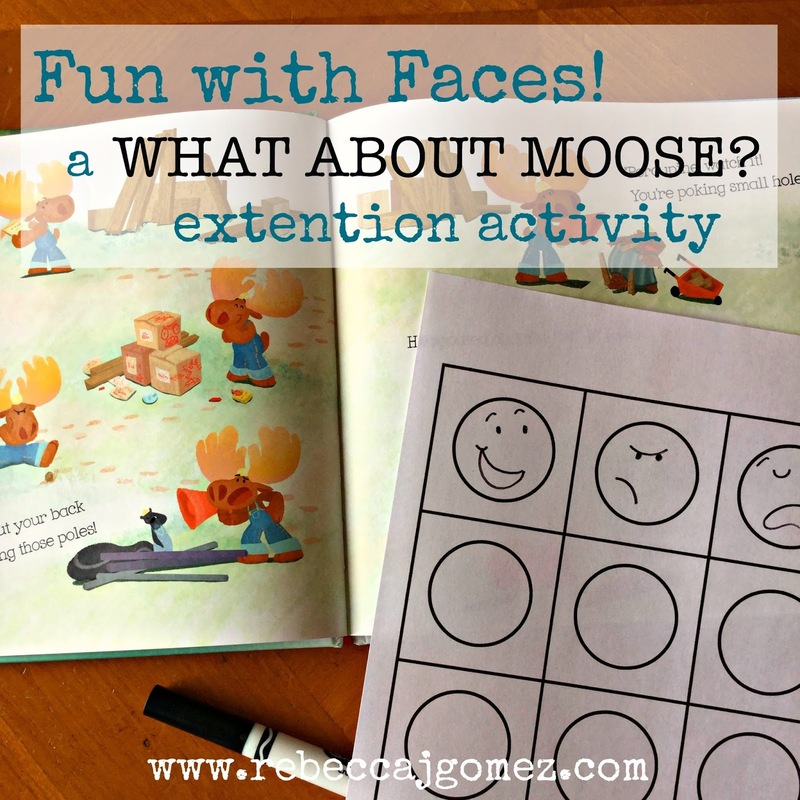 If you like, use the above image as a guide and have kids draw their own versions of Moose's facial expressions on this printable template. 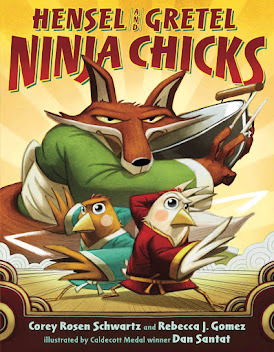 Do you know other books that feature expressive characters? These ideas will work with those books too!